A Hants County, N.S. 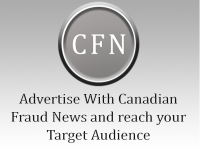 woman who was originally charged with two counts of extortion has been handed a conditional discharge with probation after pleading guilty to fraud. Tasha Nicole Farmer pleaded not guilty earlier this year to charges of inducing a man with threats to expose an extramarital affair with the intent to obtain the sum of $2,700; and threatening to publish a defamatory libel – a notice of an extramarital affair – on Facebook, with the intent to extort money from a man. The 37-year-old pleaded guilty to fraud and was given a conditional discharge with one year of probation. Farmer was fined $200 in victim surcharges. The woman committed the offence in Windsor between August 29 and December 3, 2016.